If the stress of the real world makes you want to drink wine in the lush green countryside, our Yarra Valley hotels are for you. This fertile land east of Melbourne is Victoria’s oldest wine region, and one of the best grape-growing spots in the world. It has over 100 wineries for you to experience, as well as restaurants, market shopping and amazing scenery. Wot else could you want? Raise your glass to our Yarra Valley hotels. If you’re familiar with Victoria, it will come as no surprise that the Yarra Valley was named after the famous river that flows 242km through the state. Yering Station was the first vineyard, planted in 1938, and since then the place has grown into a flourishing wine region despite suffering some major knockbacks during the Great Depression. The original Yering Station was re-planted in 1989 and you can still drop in for a drop today. Yering Station is the home of the Yarra Valley Farmer’s Market, the longest-running market in Victoria, which is held on the third Sunday of every month. Drop into the Historic Barn to browse the stalls for fresh food and other goodies. People who like to eat – and it IS a good habit to get into – will find options galore in the Yarra, from wineries that offer great food to farm gates with fresh produce and classy restaurants with scenic landscaped gardens. Towns like Yarra Glen and Healesville have cafes to sit in, cool little shops to explore and cultural spots like the Tarrawarra Museum of Art, which displays Australian art from the 1950s to now. Healesville Sanctuary is a great place to meet and great a platypus or kangaroos. Walkers and hikers have some lush surroundings to pick from, including mountain ash trees and the waterfalls at Keppel and Phantom Falls. But the best way to see the Yarra Valley is from the sky. Overcome your fear of heights in the most romantic of ways with a hot air balloon ride. You’ll see the sun coming up over green fields, vineyards, and mountains, before returning to the ground for a champagne breakfast. Just 30 minutes away is the Dandenong Ranges. 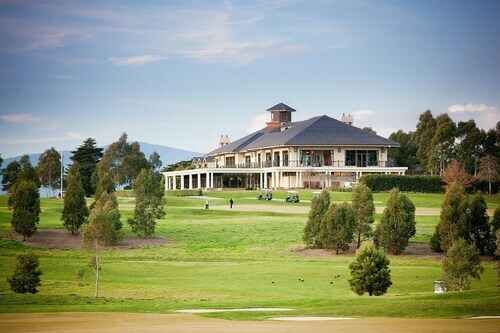 Full of lovely forests and quaint villages, it goes with the Yarra Valley like a glass of wine with a plate of cheese. For a holiday that isn’t all hot air (but has a little bit of hot air), book your Yarra Valley accommodation with us to stop whining and start wining! How Much is a Hotel Room in Yarra Valley? 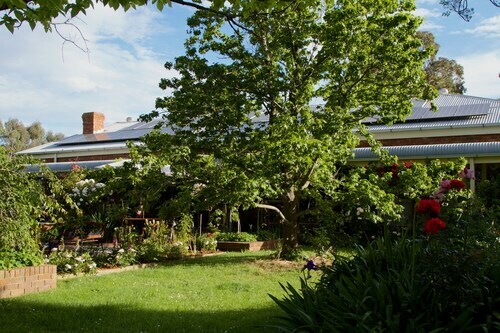 Hotels in Yarra Valley start at AU$105 per night. Prices and availability subject to change. Additional terms may apply. Was wonderful in the way it was quiet, clean, self contained, country style property. Friendly helpful owners.